What do the British eat? 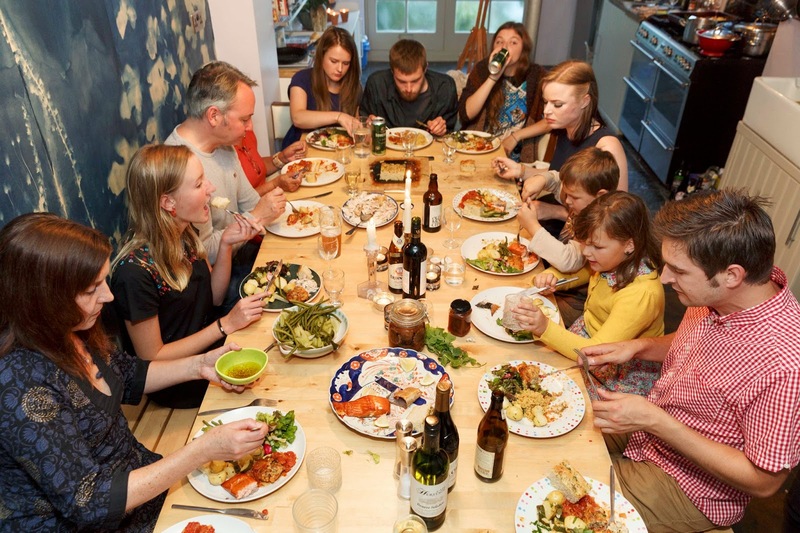 The French claim they are the gourmets of the world, but are they really?Martin Parr teamed up with Birds Eye to discover what makes up the typical, modern mealtime in Britain. For four months Martin toured the length and breadth of the country, capturing everyday mealtimes, resulting in a unique body of work titled "A Birds Eye View." I was fortunate to go to the launch of this work meeting Martin and some of the people he photographed. So how well do we eat? "Very well," concluded Martin. We are a nation of gourmets with very varied dining tables. You can see the work online here. That must have been fun. 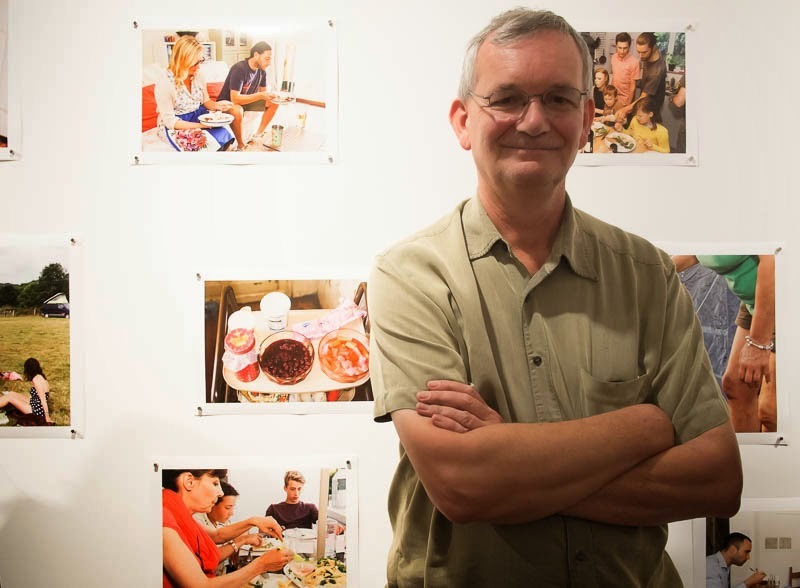 Meeting Martin Parr. I will have to check out his new work. Oh that is nice, I like Martin Parr very much, we have all his books at home. How fun to get to meet him and see his work. Still the freshest yes in London. I'm a French and Italian food lover, and I'm form the UK. The national dish of my adopted island I live now. Chips, cheese and gravy! Not for me. Quite a good portrait shot of him. Hello again. It was so nice to meet up again!!! We went to see the work by Martin Parr.Interesting to see his work and to see the film too. So THANKS for telling me about it! Interesting stuff. Though I do think there's a tendency for some to get a little pretentious about food. Good on 'Birds Eye' for being brave.